Banded demoiselles on the trail, GoGo Hare on a Wherry, Norfolk show, artist in residence, and a new trail leaflet. 24th June at 12pm Salhouse Broad … all welcome; for food, music, and a Wherry! 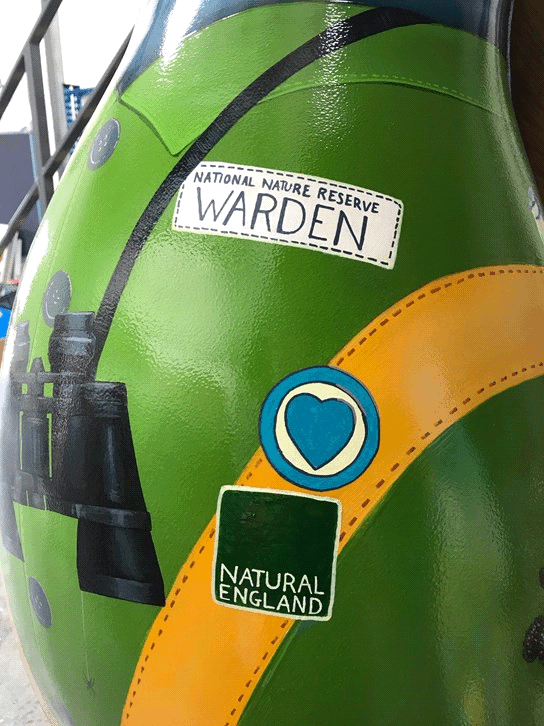 @GoGoWardenWillow (on twitter), will be arriving by a traditional broads Wherry boat; come and celebrate this historic voyage, and mark-off one of Hares on the GoGoTrail. offering arts opportunities! She will be at Salhouse Tuesday and Sunday throughout July, every Wednesday and Friday throughout August. Kaitlin has just been accepted on the Art Space & Nature Ma course at Edinburgh University and hopes to combine her love of landscape, nature and public engagement. It is an extremely prestigious course to get onto and recognised as a world-leading course for bringing professionals together from the worlds of science and art to create new partnerships and initiatives in this area. Next time you visit the trail, you may notice something different, a new Trail leaflet, designed by Fiona Gowen – another fantastic Norfolk based artist who is doing an MA in illustration. You may recognise her designs currently on the trail, and also our wonderful Warden Willow @GoGoWardenWillow (on twitter). 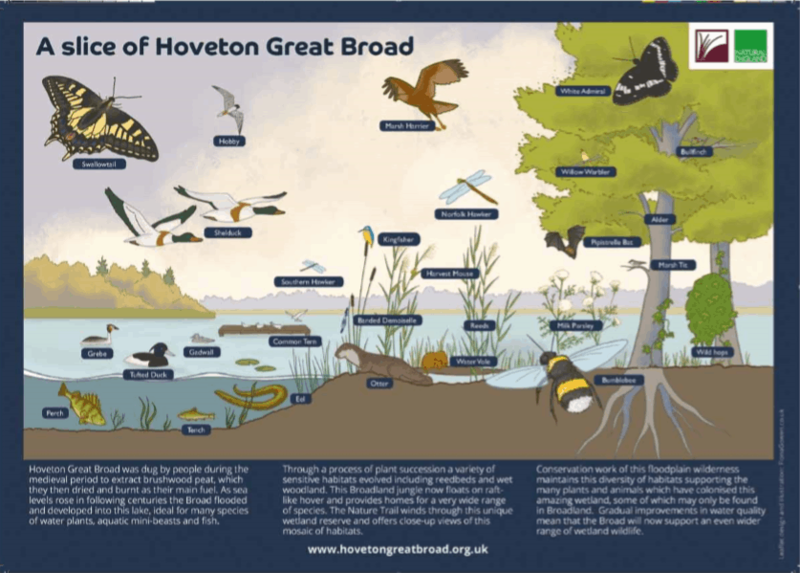 Go to the resources section on the website to download a copy (https://hovetongreatbroad.org.uk/resources/). Come and say hello at the Norfolk Show! 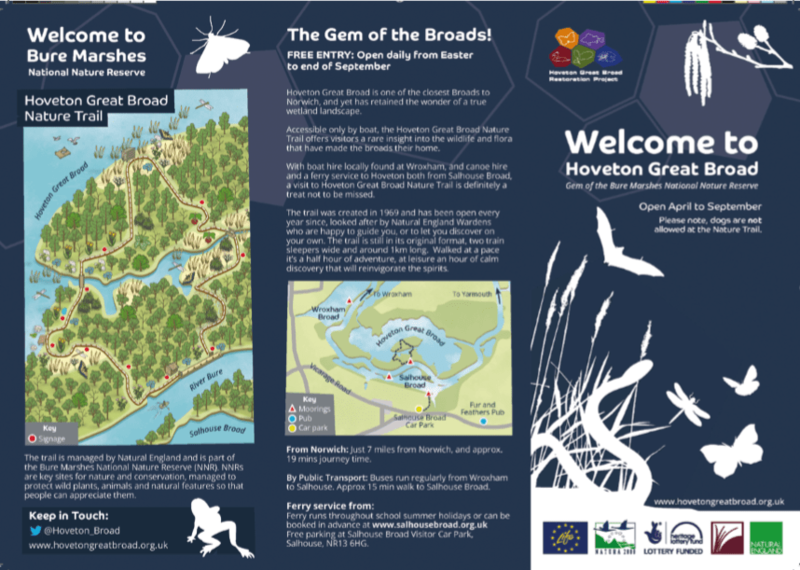 Wednesday 27th and Thursday 28th June the Hoveton Great Broad Team will be there talking all things project related, with fun activities for all the family, where you can get creative and learn about lake restoration, and wildlife.